You can replace an expensive million pound bridging loan with a competitively priced private bank remortgage, saving you thousands of pounds. To discuss this or any other large mortgage case, please contact us. Our client was a self-employed television executive, earning £400,000 per annum for the last 2 years. She bought a London property worth £2 million from a relative, who gifted her £700,000 of equity, so the purchase price was £1.3 million. She was unable to find a high street bank to lend her a £1.3 million mortgage at 100% of the purchase price. Her broker at that time advised a £1.3 million bridging loan at 1.5% interest per month, meaning a monthly repayment of £19,500. There was also an arrangement fee of £32,500 to pay. There was no plan to ‘take out’ (pay off) the bridging loan and the situation quickly became stressful, with the client under pressure to repay the loan. Using a new broker, she approached a high street bank who approved the remortgage (£1.3 million on £2 million) in principle, but then turned her down because she had not owned the property for at least 6 months. Meanwhile the bridging lender said that it would charge a further £32,500 fee if the loan was not paid off within a couple of weeks. The client’s broker had limited experience in arranging such a large loan, so referred his client to largemortgageloans.com’s specialist mortgage team. The remortgage was completed in 10 days and beat the bridging lender’s deadline. A valuation was arranged within 1 day, with the report to the private bank on the same day. An offer was obtained in 5 days and completion 5 days later, using title insurance to replace searches.  largemortgageloans.com is a trading name of largemortgageloans.com Ltd, 12 Pepper Street, London, E14 9QY which is authorised and regulated by the Financial Services Authority. The Financial Services Authority does not regulate some aspects of buy to let mortgages, overseas mortgages and tax advice. largemortgageloans.com Ltd Registered in England and Wales No: 5070990 Registered Address: Bridge House, London Bridge, London, SE1 9QR. Your initial consultation is obligation free. A fee as described below will be charged on application for a mortgage, this fee is non-refundable. We will also be paid by the lender. A fee of up to 1% of the mortgage amount is payable, of this 25% is payable on application and the remainder on completion. E.g. on a mortgage of £100,000 the fee would be £1,000 in total of which £250 would be payable on application.